Fifty cuts of lamb cost 17,500 denars, 30 pieces of white cheese – 7,500 denars, and ten kilograms of hard cheese – 3,880 denars. 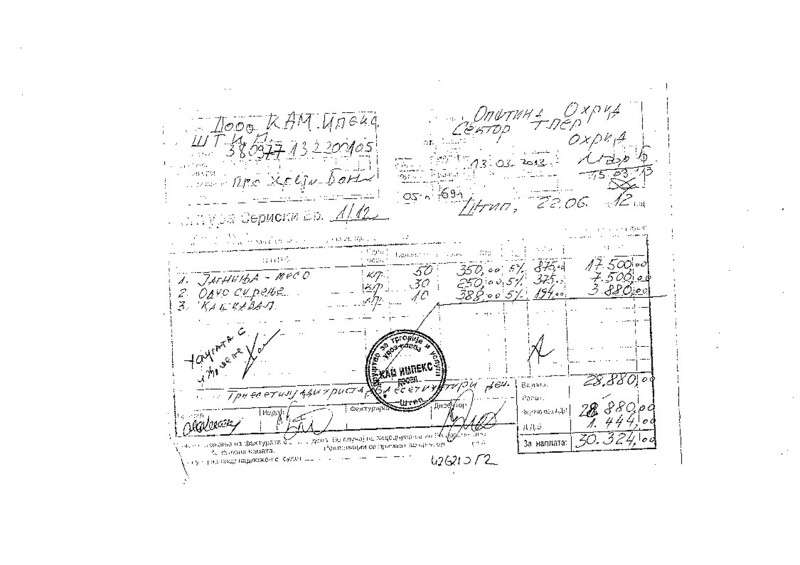 A total of 30,324 denars, or 500 Euros were paid by the municipality of Ohrid to the company Kamimpex for an undefined “catering” service. 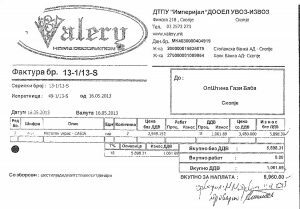 But this is not the record of the Ohrid administration. 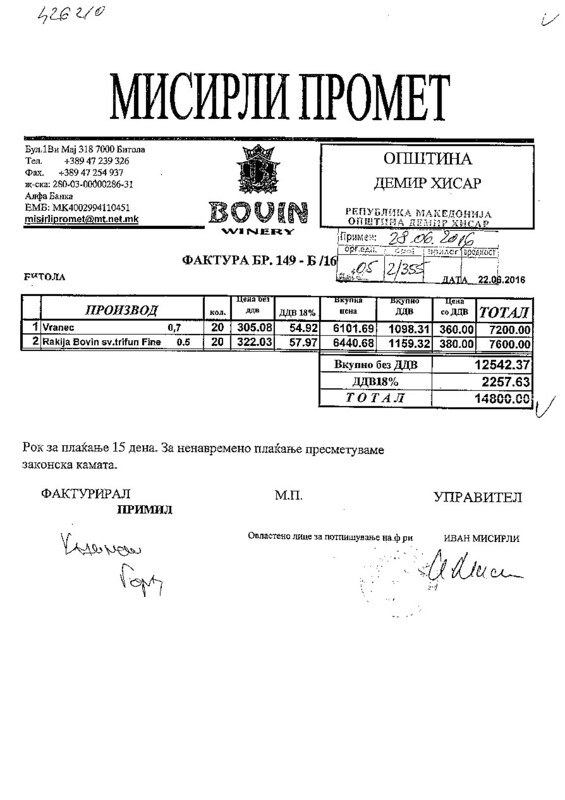 In one day someone put a signature on an invoice for spent 41,580 denars or about 650 Euros, also for restaurant services where they had salads and rakija, grills, wine, chocolate cakes and cognac. Fried zucchini, seafood risotto, meat, grilled squid, ice cream, cake and fruit…were not enough in one day for one or more “related” parties paid with tax money, so they ordered another 40 portions of the menu “7”. And this menu has salad, main dish as fish or grill and of course dessert in the end. 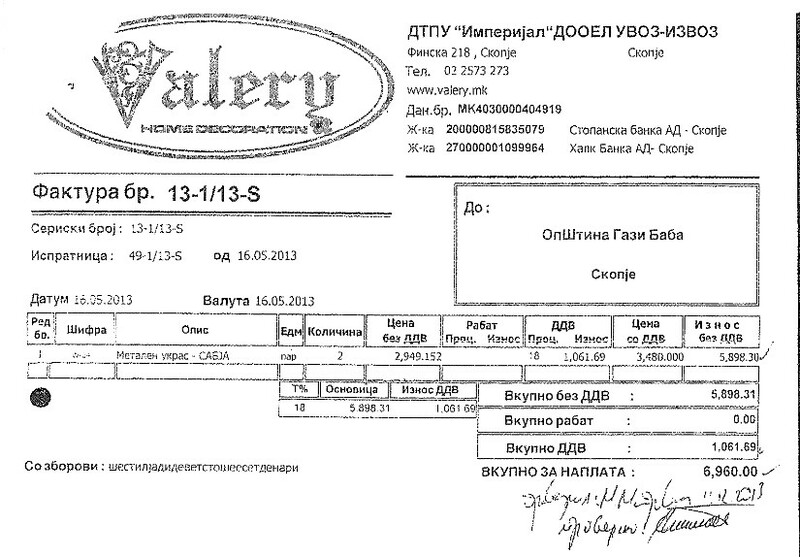 This is one of the images of the Ohrid administration. By the way, the paradox is also in the fact that the municipality of Ohrid is one of the most indebted municipalities in the Republic of Macedonia. According to the survey, for the last five years the biggest “spenders” are the citizens of the municipality of Novaci. Immediately after it are the municipalities of Veles and Vevcani. 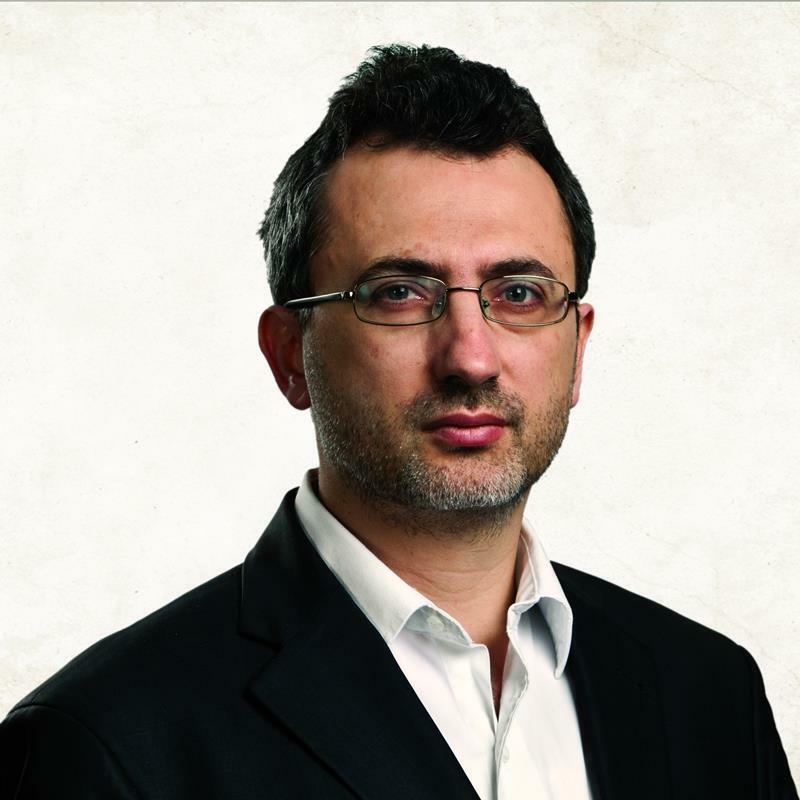 While the least money per capita was spent by Shuto Orizari, Aerodrom and Butel. A gold coin, golden necklaces, silvery swords and the inevitable grill, wine, salads, sweets…on the daily “menu” of the municipal mayors. 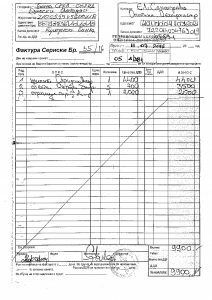 Who and does anyone at all control municipal budgets, especially the part of representation expenses the first people of Macedonian communes undoubtedly have at their disposal. SCOOP: How is the budget for representation expenses set up within the municipal budget? The parameters of past years are usually taken to see what was good, what was bad and it is all brought inside the system. Then we go to certain committee hearings where it is being considered. Normally, the mayors are proposers, but those who decide upon it are the councilors, the council with a majority vote. SCOOP: Is the budget for representation expenses only for the mayors or also for the councilors and other municipal employees? SCOOP: Who controls the budget for representation expenses and are there rulebooks for use? Petrov: There are rulebooks. Control is always performed by the council. SCOOP: What is the budget for representation expenses mainly used for? Petrov: It is mainly spent on expenses related to organizing various celebrations, it is also used for propaganda materials owned by municipalities, for certain jubilees, for awarding certain awards. But it is also true that it is used for lunches, for some expensive gifts. SCOOP: Why do councilors endorse high costs in smaller municipalities? Petrov: Smaller municipalities do not have such a large source of funds so there are no big costs. But in smaller municipalities there is one problem, and that is they see what bigger municipalities do and they do the same. In bigger municipalities, however, public pressure is bigger and it is more difficult to implement. In smaller municipalities, there are actually smaller inflows into the budget, and it is shameful, to spend huge amounts and money for representation expenses. In spite of this factual situation, the municipalities, judging by how they behave in relation to the municipal budgets, in relation to the money of their fellow citizens who have entrusted it to their mayors, councilors and municipal administration for management and rational spending, it turns out that Macedonian municipalities, most of them, are richer than Swedish and Dutch, for example. Municipalities that did not respond – Are they hiding crime? Cair, Saraj, Karpos, Butel, Demir Kapija, Ilinden, Petrovec, Zelenikovo, Debarca, Krushevo, Strumica, Krivogastani, Makedonska Kamenica, Karbinci, Rosoman, Negotino, Kavadarci, Vasilevo, Studenichani, Tearce, Mavrovo and Rostusha, Bogovinje, Zelino, Vrapciste and Dolneni. 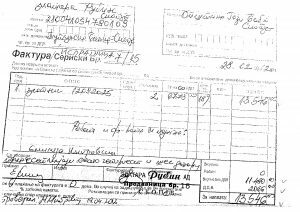 Some of the municipalities responded that the authorities were on vacation, the Krivogashtani municipality said they did not have a scanner and some of them did not reply to our e-mails at all. The focus of our interest was the money for representation expenses that mayors projected in municipal budgets, and the majority of the councilors voted for it. 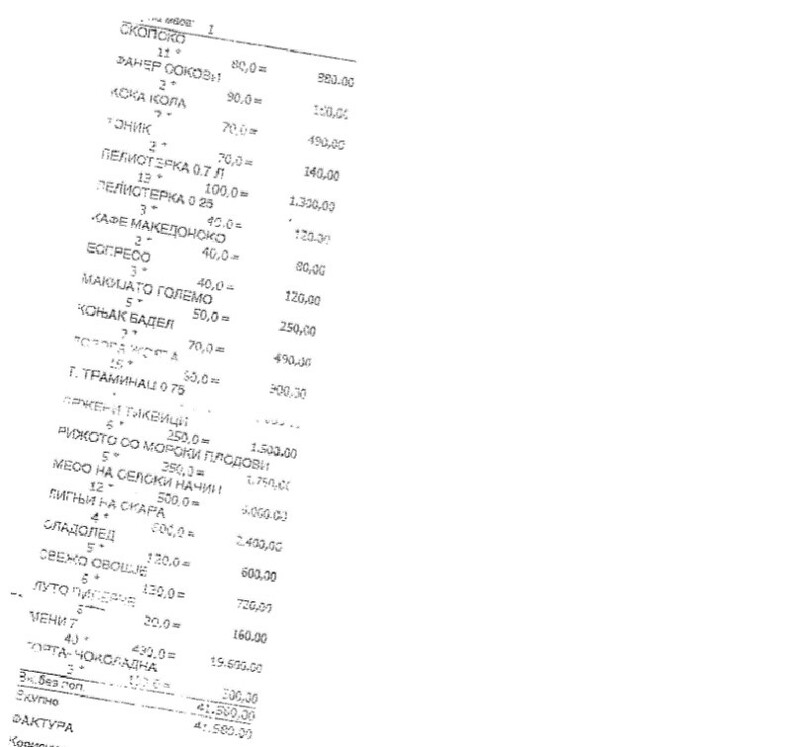 According to the invoices we received, many municipalities spent large sums of catering and hotel services. The amounts reach up to 1,000 Euros per day. In addition to these services, intended for the guests of the municipality, it can be noted that municipalities often spend representation money for private purposes. The most common examples are lunches, nights spent in hotels, as well as gifts and souvenirs. What is interesting about the poor and urbanely neglected municipality of Demir Hisar, for example, are the restaurant costs. They were most often realized in the restaurants “Dojrana” and “Gorna kukja”. 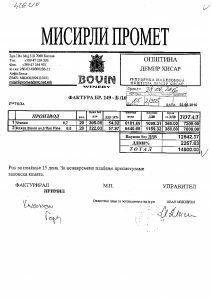 In 2016, 109,490 denars were spent in “Dojrana”, while in “Gorna kukja” 144,470 denars. 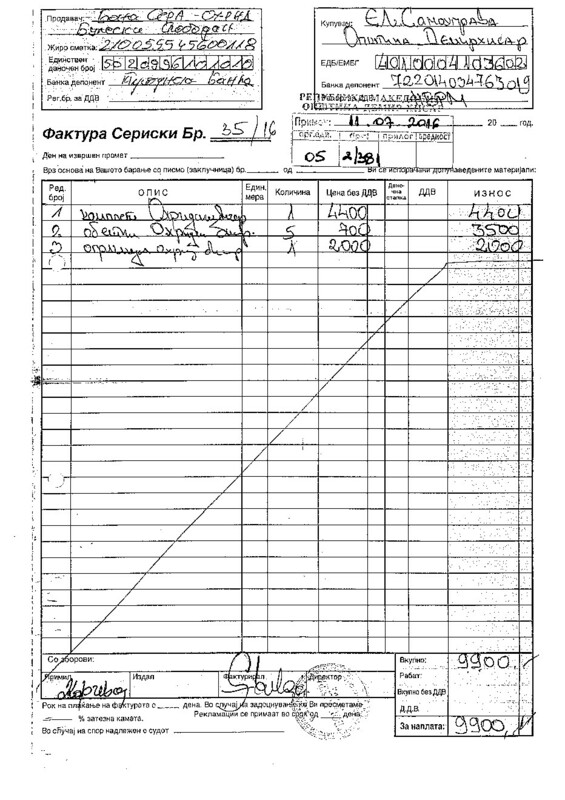 In addition to catering services, the municipality of Demir Hisar also spent large sums for gold pendants, other jewelry and exclusive drinks. 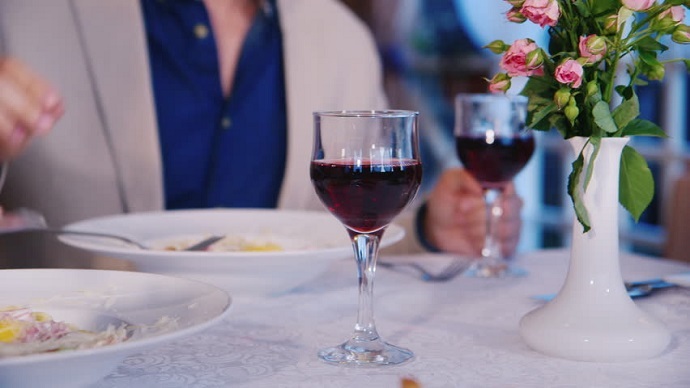 Former mayor of Karposh, Andrej Petrov says that spending state money for paying so-called official lunches and even organizing private celebrations is something that should not happen. “It is more a question of moral dimension of the one who governs the municipality. There are examples of people from foreign countries, presidents and mayors who pay lunches for their guests from their own money. 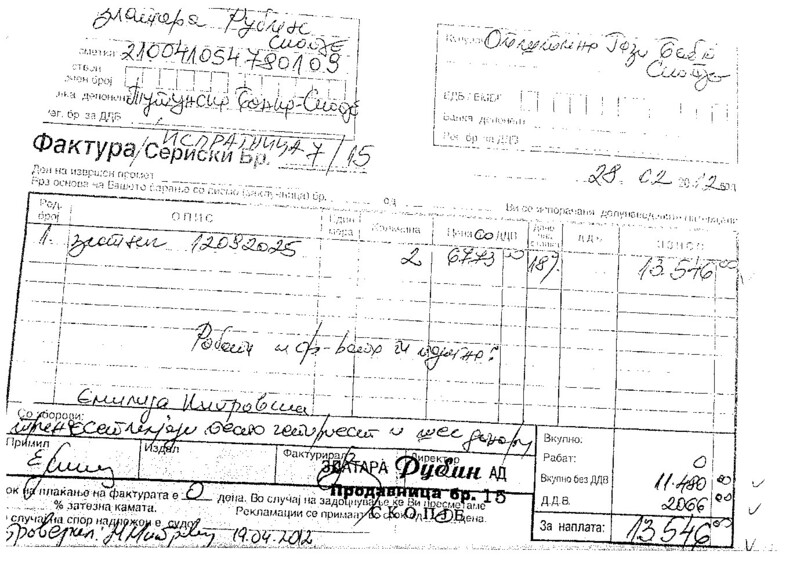 They do not sign invoices at the expense of the municipality or the state. It is the moral dimension that needs to be acquired over time to clarify that it is not something shameful or should not be done”. Petrov believes that the problem in us, besides the moral dimension, is in the implementation of the responsibilities, i.e. the ways who, how and what for uses the budget funds. 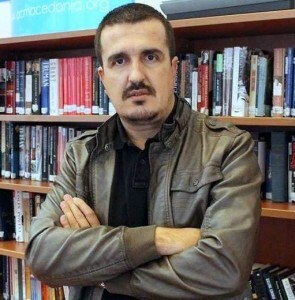 “A large part of the budget funds is allocated for representation, and a lot of funds are spent and misused because people act as if the municipality was their private company, inherited from their grandfather and from which they can spend as much as they want, not that it is state money, it belongs to the municipality, to the citizens”. Note: The municipality of Demir Hisar reacted to the story. You can read their reaction here in full.